The 9th U.S. 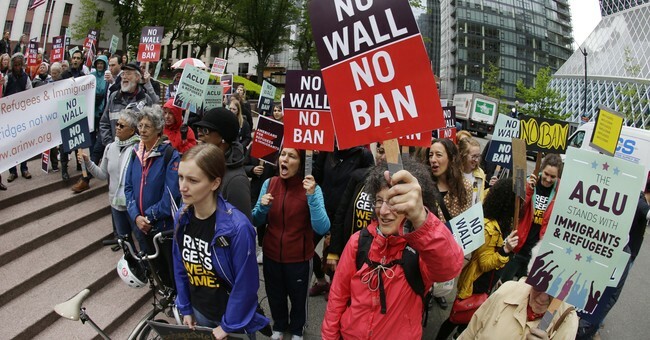 Circuit Court of Appeals ruled on Thursday that the Trump administration's view on what constitutes a "bona fide relationship" in terms of the travel ban was too narrow and should be adjusted. The three judges ruled unanimously that a grandparent, grandchild, niece, nephew, aunt, uncle, or cousin should be considered to be a "bona fide relationship," contrary to what the Trump administration had previously claimed. A job offer is also considered to be a "bona fide relationship." The travel ban impacts people from Iran, Libya, Somalia, Syria, Sudan, and Yemen. Looks like the court battle over the travel ban won't be over any time soon.